Looking for some Premium 45 ACP self defense ammunition? Federal's Law Enforcement Tactical line of ammo is engineered to give you the upper hand when your life is one the line. Federal loads these rounds into factory fresh nickel-plated brass cases that are boxer primed and re-loadable. 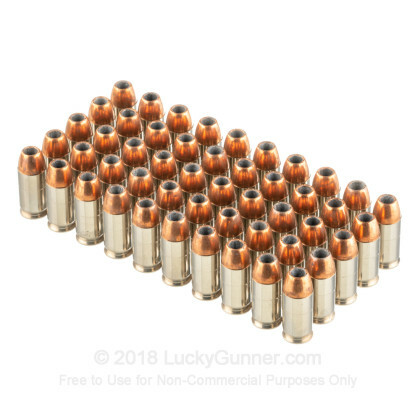 Each projectile in this box of 50 is a 230 grain bonded hollow point that leaves the barrel at 950 feet per second. Federal Premium Ammunition has been providing shooters and hunters with rounds that perform since 1922. 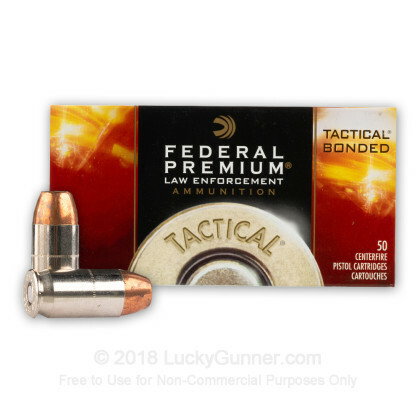 With extensive lines of ammo for hunting, target shooting and self defense, Federal makes the perfect rounds for almost every shooting application. The Law Enforcement line is designed to deliver un-matched reliability and consistency all while maintaining near 100% weight retention through most barriers. Federal ammo is made in the USA at their Anoka, Minnesota headquarters. 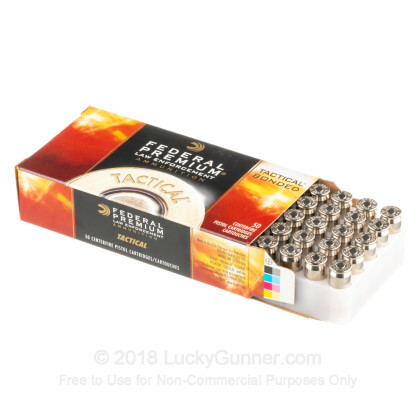 Pick up a box or two of this premium 45 ACP self defense ammunition and see why some many people trust the Federal name! After firing five rounds of Federal 230 gr Tactical Bonded +P from a Kahr CW45 into synthetic ballistic gelatin from 10 feet away through four layers of fabric to simulate clothing, we then measured the expansion and penetration of the bullets for this .45 ACP load, which you can see in the chart below. Finally, if you'd like to see how this Winchester load compares to other .45 ACP loads, check out the diagrams at the bottom of the page. Want to know more about our ballistic gelatin testing and self-defense ammo? Check out Lucky Gunner Labs for more information. 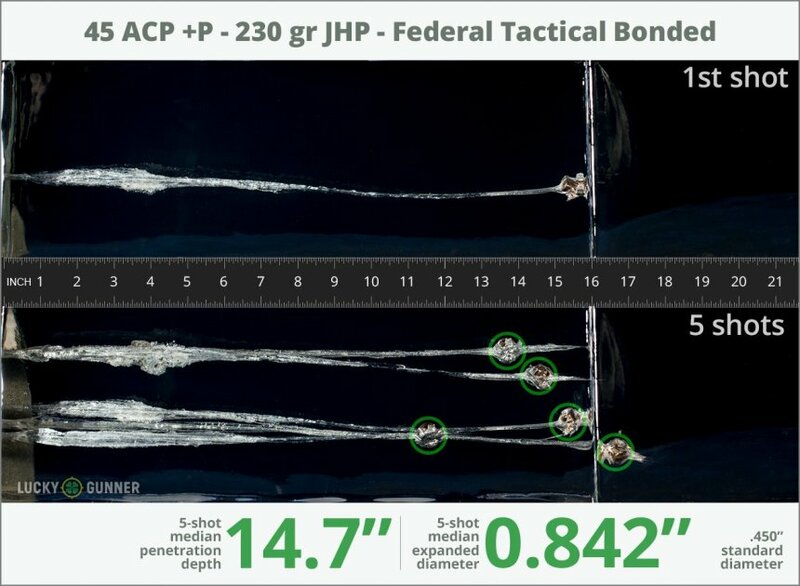 How do the results for this Federal .45 ACP (Auto) compare to other 45 ACP Ammo? 1.04" This ammo: 0.842" Min: 0.45" Median: 0.64" Max: 1.04"
14.7" 0" 8.3" 16.7" 32" This ammo: 14.7" Min: 8.3" Median: 16.7" Max: 32"
I like the performance test results and the fact that it's bonded. I hear a few popular firearms don't like the 9mm version of this ammo but my Glock 21 Gen 4 (KKM Precision standard length barrel and Tungsten Guide rod factory weight). 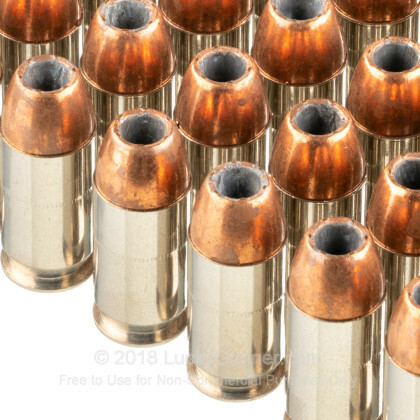 I prefer bonded jhp, solid copper hollow points, and solid copper fluted defense ammo because thin barriers and even only heavy clothing interupt performance with too many ammo types. 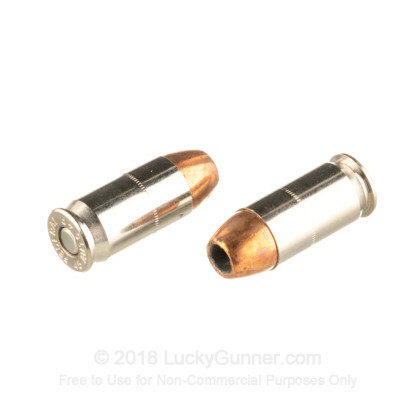 Stick with these on .45 acp +P if you want something HST hollow point expansion and some backbone to it. Out of two boxes ordered - only approximately 10-15 rounds were usable. The remainder had 'green'/tarnished corroded casings and/or the actual projectile was 'green'/tarnished. Based on Lucky Gunner's gel tests, this is a great performer. And I have read it does well out of shorter barrels. I have shot through about 100 rounds. Shoots clean, though you'll feel extra "snap" out of smaller 45 acp handguns. Q: What is the difference between 45 ACP (Auto) and 45 ACP + P ammunition? A: The easiest way to explain it is the amount of powder load in the shell. +P ammo is loaded what some refer to as "hotter". This typically results in more velocity, more impact energy and almost always more of a felt recoil impulse. Keep in mind that not all firearms are rated for +P ammunition. Be sure to check with your specific manufacturer or a qualified and competent gunsmith before use. Thank you for your question. We also have this 45 ACP - +P 230 Grain Bonded HP - Federal - 1000 Rounds ammo in stock in a bigger quantity.